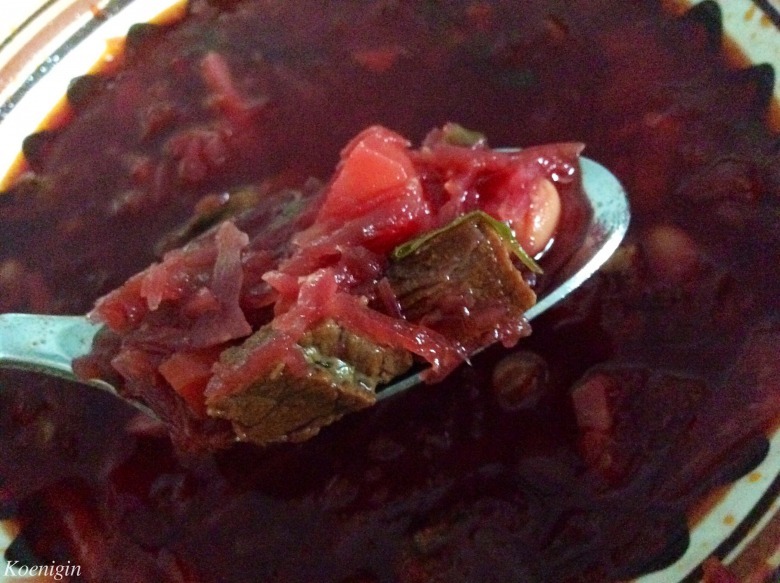 I am sure, every woman has a recipe of the most beloved and probably the most respected dish — borscht. I think borsch — real Ukrainian culinary pride. 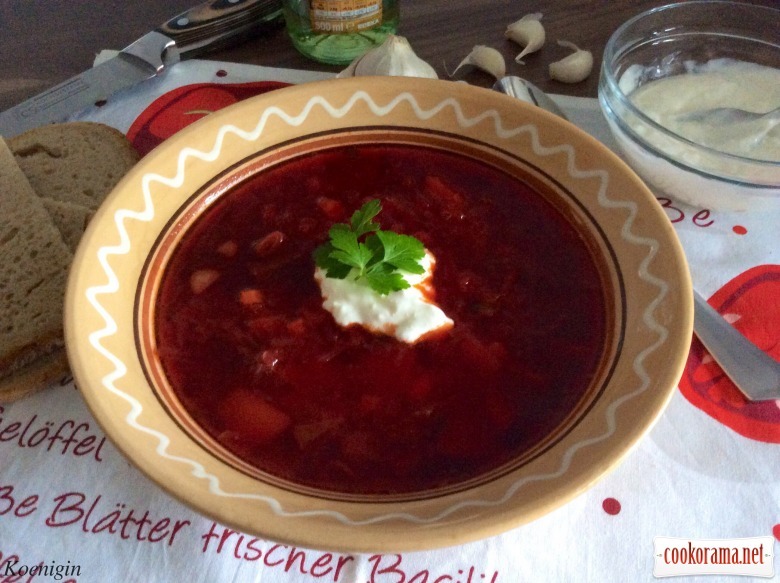 The site already has recipes, but I still dare and add my own, as they say, good (I hope you like it) borsch is never too much. This is autumn-winter variant by my mother and grandmother, with some of my changes. For 3 liters of water. Wash meat, put in saucepan, pour with cold water and put on fire. Once it boils, reduce heat, put soaked (5-6 h, better for night) beans and boil for 30 min. Next, add onion, carrots, parsley root and half green paprika. Boil for another 30 min. Turn medium heat on, slightly, but boil. 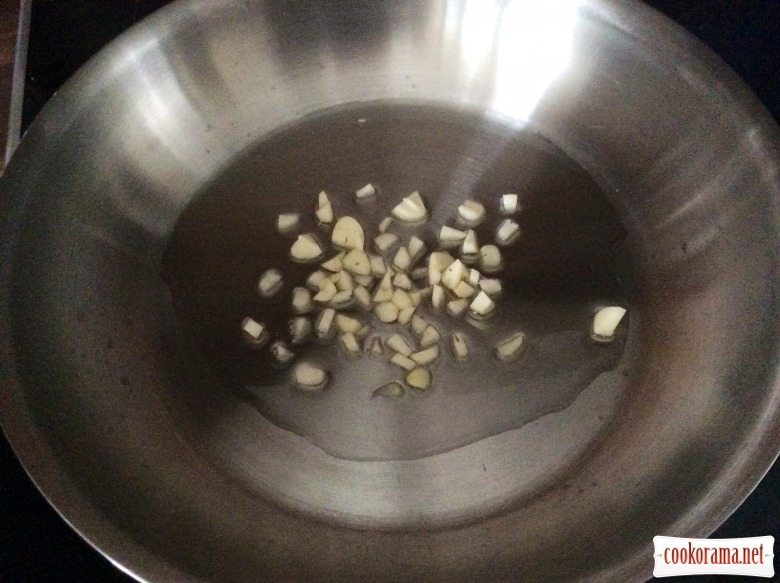 For dressing: pour oil in pan and quickly fry chopped garlic. 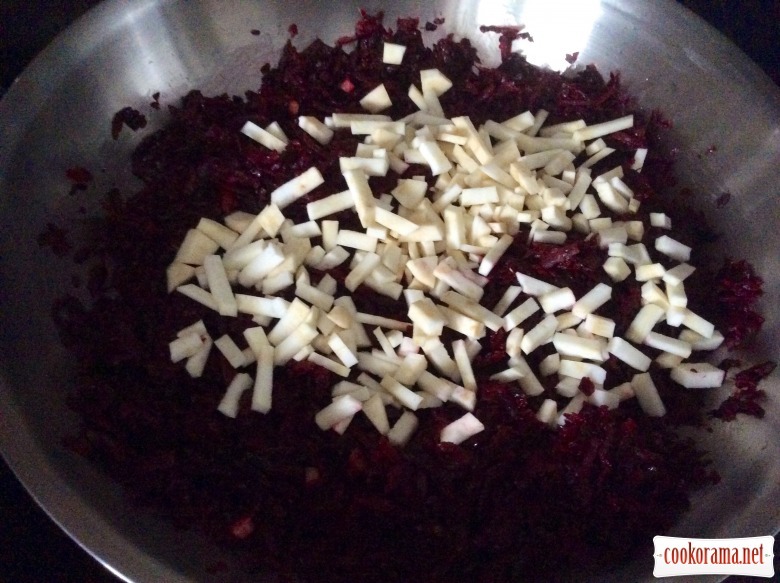 Next, add grated beet and celery. Fry all together for 5 min. Dress with salt, vinegar, sugar and tomato paste. Stew for about 10 min. 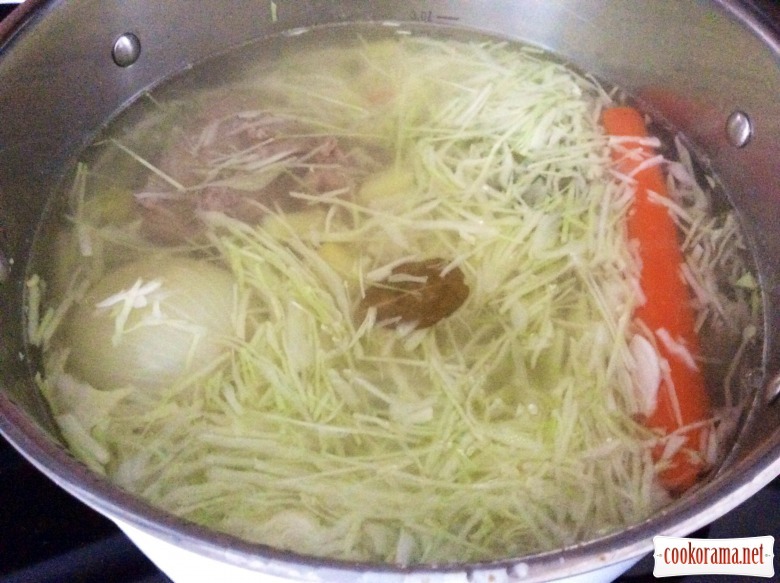 Remove from borsch meat, onion, carrot, green pepper, parsley. We don`t need onion, pepper and parsley any more, and grate carrot, cut meat in small pieces and return in borsch. 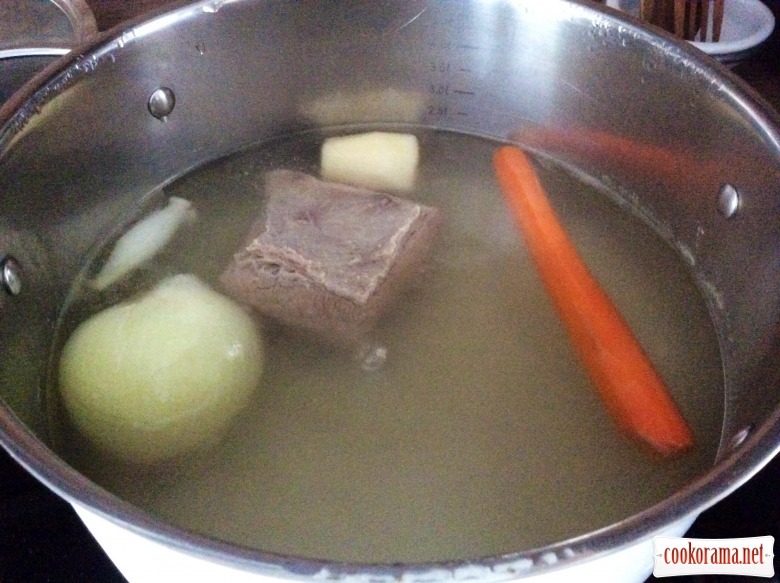 Add salt in borsch and stew for 30 min over low heat, to infuse it. Serve, sprinkled with greens and sour cream. Borsch turns out thick with beautiful ruby color. Dry beans can be replaced by canned. Then better drain water from it and put together with cabbage. 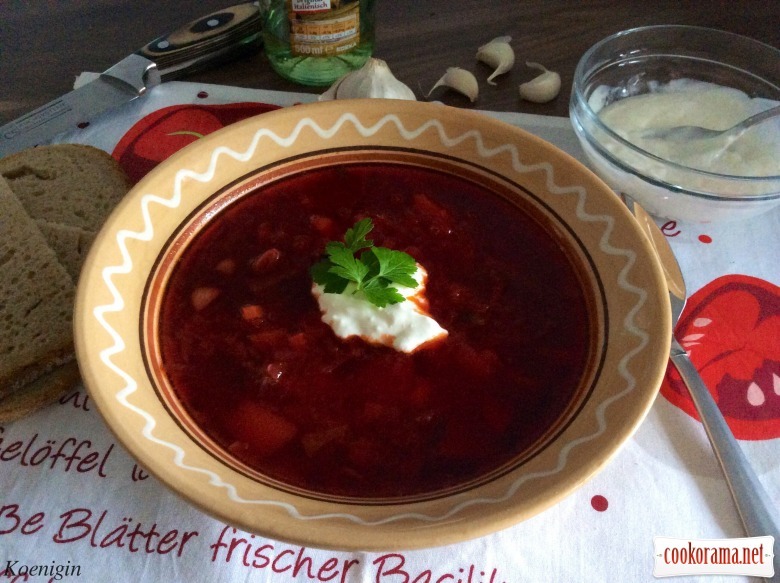 Top of recipe "Kyiv Borsch"